This post is sponsored by Moore’s Marinade’s. All opinions expressed are my own as always. My kids request ribs every Christmas! I always ask if they would like a ham or turkey? No, they would love ribs! 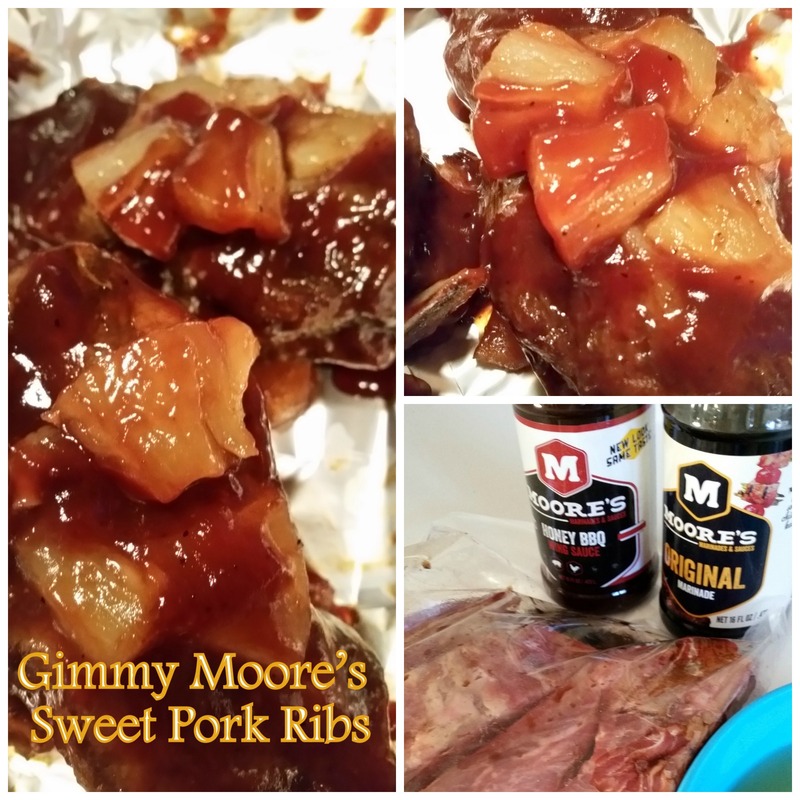 So I tried this recipe from Moore’s Marinade which was out of this world delicious! 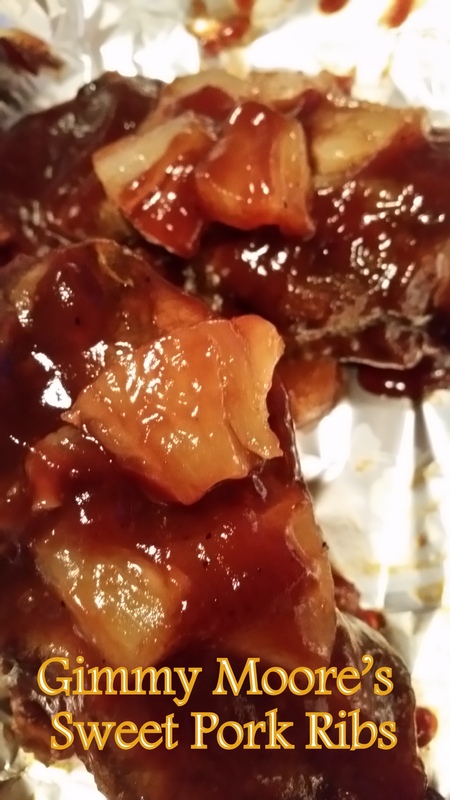 I marinated Country Style ribs which are so much meatier than Baby Back Ribs. 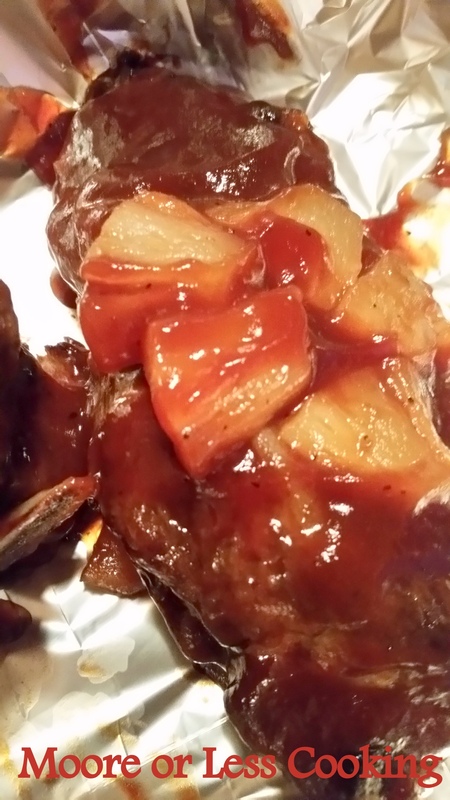 Each rib is perfect as one serving, there is plenty of meat on these ribs. The marinade is so delicious and the pineapple is a wonderful addition. No knife needed! The meat just falls off of the bone. So tender and moist, makes my mouth water! You don’t need a knife to cut these ribs, they just fall off of the bone! 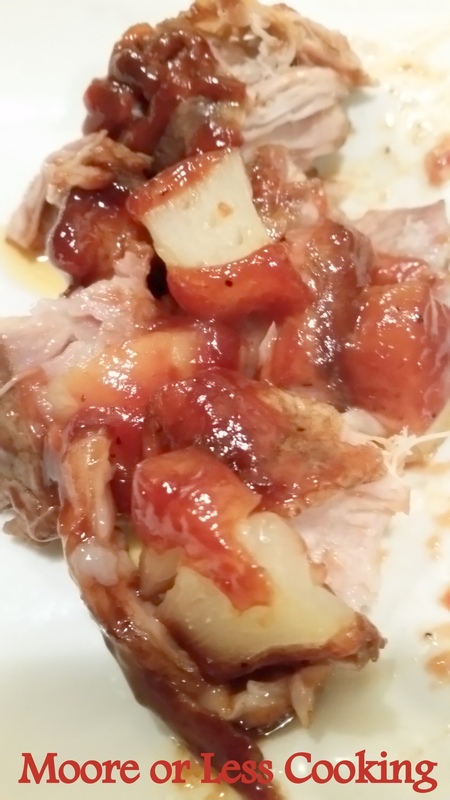 Wonderful Fall off the bone Marinated Country Style Pork Ribs with Juicy Pineapple. 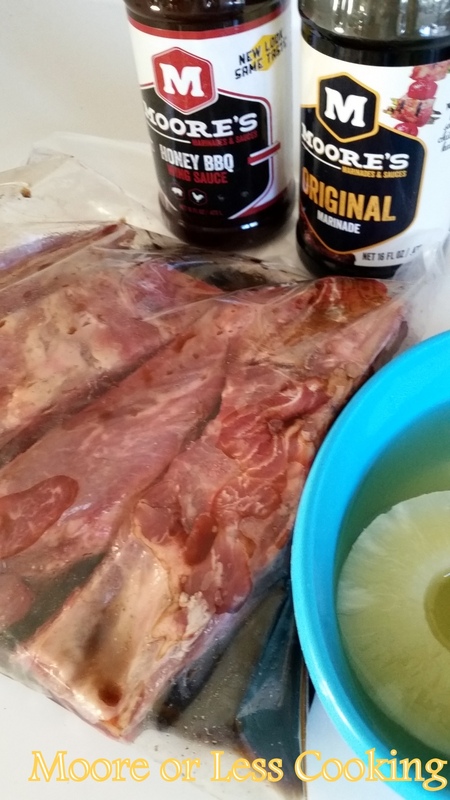 Cover the ribs with Moore's Marinade and marinate for at least 30 minutes. My family loves ribs. I will give this recipe a try. Thanks.